Tour Stage Preview: The ASO certainly knows how to put on a spectacle. Each year, the Grand Depart is feted and celebrated, usually more for its cultural iconography than its significance for the actual race itself. So if setting the table at Mont St Michel, then it is only fitting to conclude the world’s most popular bike race in the shadow of Europe’s most iconic mountain, Mont Blanc. The mountain itself poses an impressive profile, a giant among its much smaller neighbors, perpetually glistening such brightness on a sunny day one must shield their eyes. And while the Alps essentially consist of two regions - the industrial Maurienne Valley that connects Albertville to the Italian border and the area surrounding Mont Blanc - it is the latter that has the glitz and glamour that the Tour has come to be known for, creating a sendoff to Paris that celebrates what is the key to every Tour victory - the mountain stage. 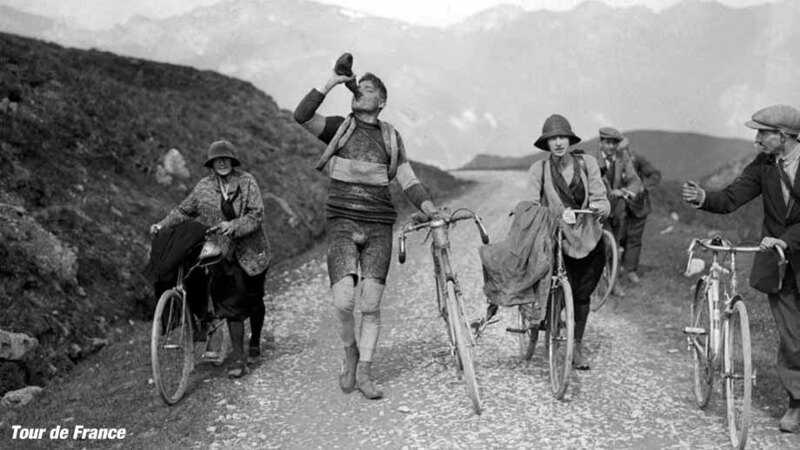 And this year’s Queen Stage, while certainly ineffective in altering the yellow jersey, is nonetheless an epic mountain stage that reaches back to 1911, the Tour’s first foray into the Alps. Jacque Balmat was the first to summit Mont Blanc in 1786, and history seems to tell us since then scaling mountains has become an obsession, both on foot and by bike. Following the introduction of the Pyrenees in the 1910 Tour de France, which was met with fierce opposition from the riders - the organizers introduced the Alps in the 1911 edition, including the Col du Galibier, and the challenge of scaling mountains by bike had been etched into the future. With a stage 4 finish and stage 5 start in the posh mountain town of Chamonix, the mighty massif of Mont Blanc provided the perfect back drop for the inaugural romp into the Alps. And while historically the passes of the Savoie Alps garners much of the attention when it comes to cycling - Galibier, Madeleine, Glandon, Croix de Fer - it is the majestic roads that circumnavigate the Haute Savoie and Mont blanc that piece together a maze of climbs that can be celebrated as much for its challenge as for its natural beauty. This year’s finale includes three stages in the Haute Savoie, and the center point is the ski town of Megeve. Developed in the 1920s by the famous Rothschild family as a French answer to Switzerland’s St. Moritz, the town was the first all-purpose resort built in the mountains and remains one of the most glamorous spots in France. 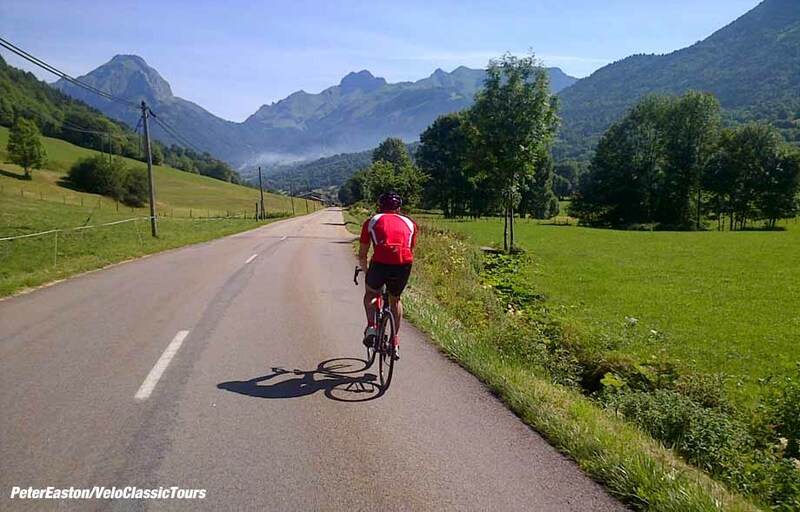 Aside from French haute couture, it is also a great spot for some of the most challenging cycling in all of France. The passes of the Saisies, Aravis, Croix Fry, Colombiere, Joux Plane are all within reach supplemented by smaller roads and climbs that extend to the Swiss border to the north and lac Annecy to west. The Sporting Club of Megeve organizes the Megeve-Mont Blanc Sportif every year, a ride that offers 3800 meters of climbing in 150 kilometers. Following the Stage 18 time trial from Sallanches to Megeve and the Stage 19 finish at Saint-Servais Mont Blanc, stage 20 returns to Megeve for the Tour’s final mountain stage to Morzine. 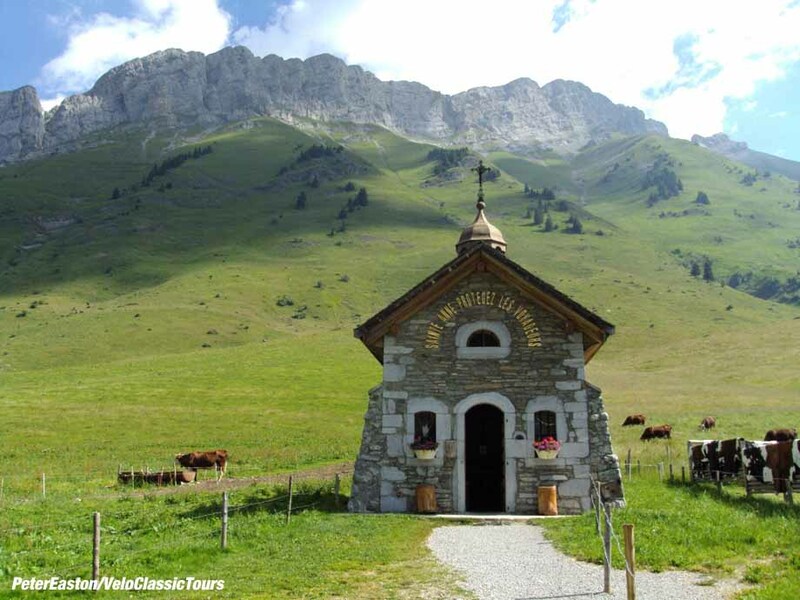 The Chaine des Aravis, though not of the highest in the area, is certainly one of the most scenic. 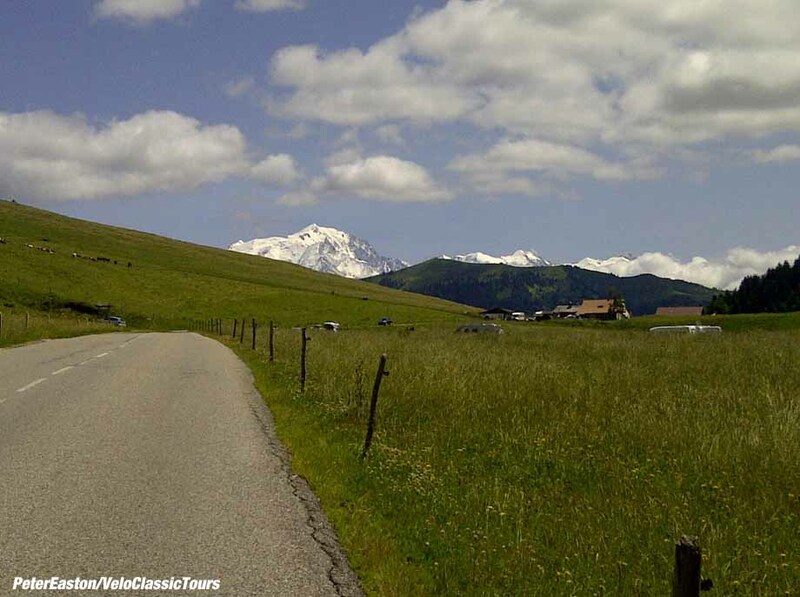 Combined with the Saisies, these two mountain ranges are typically paired in a Tour stage over the Col de Saisies and the Col des Aravis. 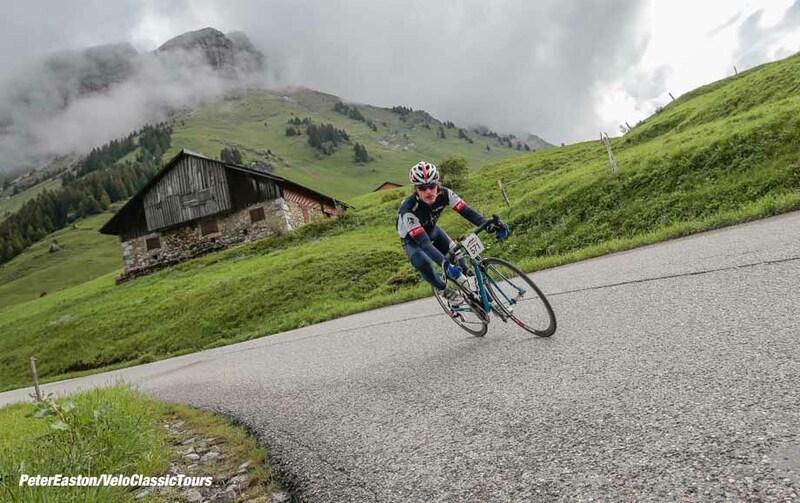 The Aravis, the first climb of stage 20, tops out at 1486 meters and is just over 12 kilometers. 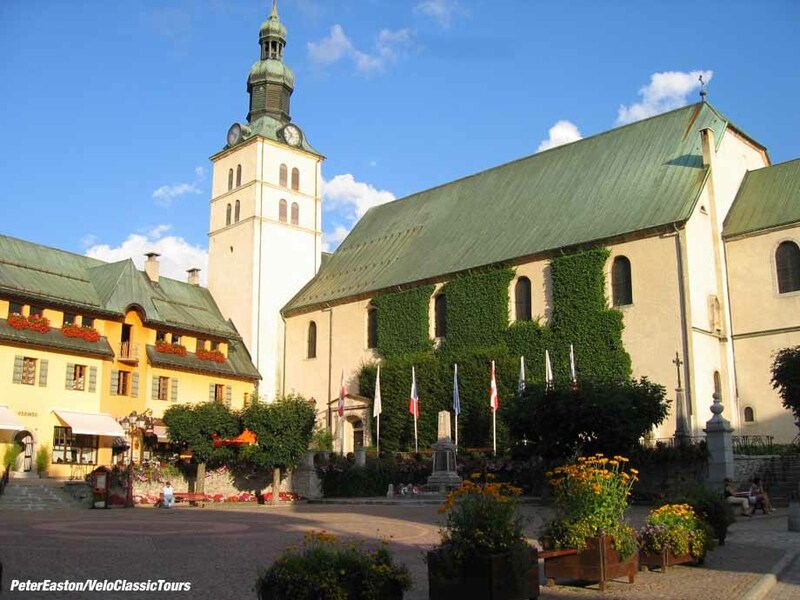 The 1911 Tour saw the race pass through the tiny village of Le Giettaz, about half way up the climb, and the village has developed its cycling craze in and around the Aravis with both mountain and road biking events throughout the summer. The climb of the Col de la Colombiere follows from the town of Le Grand Bornand, and it is admittedly the easier of the two ascents. The more difficult ascent from the north about 5 kilometers from longer, though both descents offer their own difficulty and the descent to Scionzer is magic. This portion of the route is unfortunately best remembered - at least in my mind - as the route of Floyd Landis’s epic, dope fueled solo ride to an improbable stage victory that saw him retake the maillot jaune, win the Tour and, well we know the story from here. The Col de la Ramaz is the penultimate climb, making its fourth appearance in the Tour de France after being introduced in 1981 followed in 2003 and 2010. Hubert Linard was the first rider over the top of the 16 kilometer ascent on the 18th stage in 1981, but in a similar finale to this year’s stage 20, saw him run out of gas on the Col de Joux Plane. Victory went to Robert Alban, while Bernard Hinault kept the yellow jersey. In 2003, the col de la Ramaz was lit up by the French favorite Richard Virenque on his 190 kilometer breakaway, resulting in both a stage victory and the yellow jersey. His glory however was short lived as he crumpled the following day, losing the yellow jersey on the climb to Alpe d’Huez. 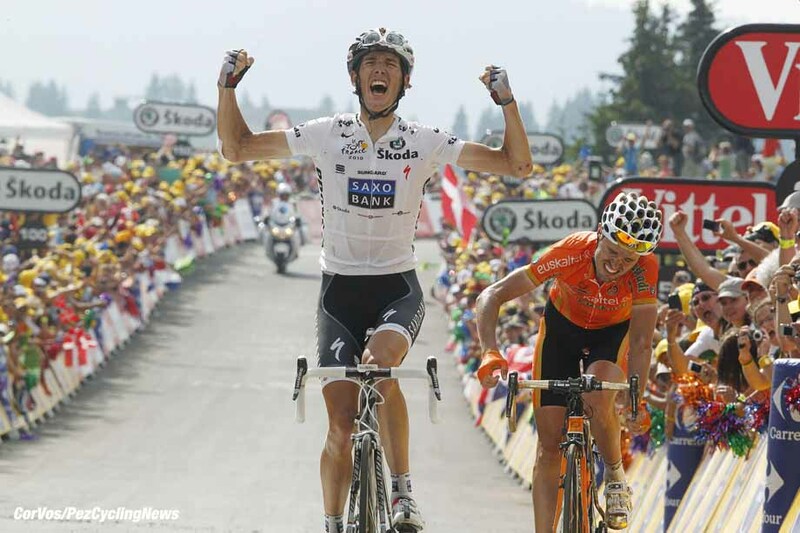 2010 saw the ascension of Andy Schleck, giving him his first victory of the Tour and it foreshadowed what was to come for Lance Armstrong, as he crashed heavily at the foot of the climb, putting to rest any illusions that he might win another Tour. The Col de Joux Plane is one pass where one shutters at simply uttering its name. At just under 12 kilometers, the pass averages 8.5%. After a long hot day in the mountains, this is typically a breaking point for most riders. 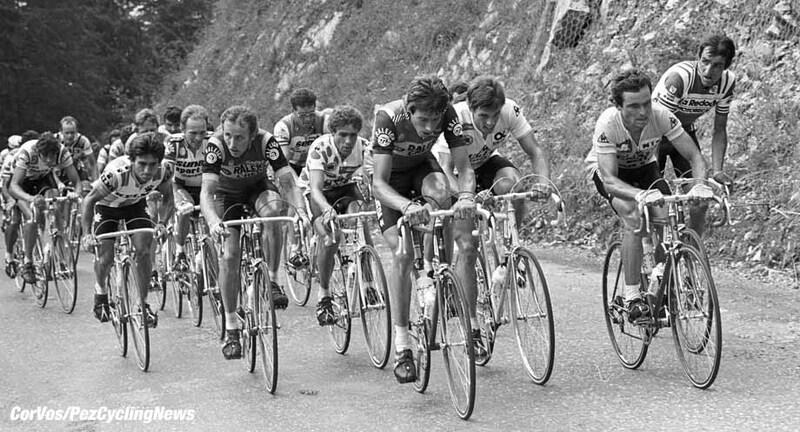 The climb itself has appeared in the Tour twelve times beginning in 1978, with all stages finishing in Morzine. This year is the first inclusion since 2006, and reaching into its past the climb seems to be jinxed. Prior to Landis’s exploits, the previous two to cross the top first and win the stage both had dark pasts, with Richard Virenque winning stage 16 in 2000 and Marco Pantani doing the same in 1997. 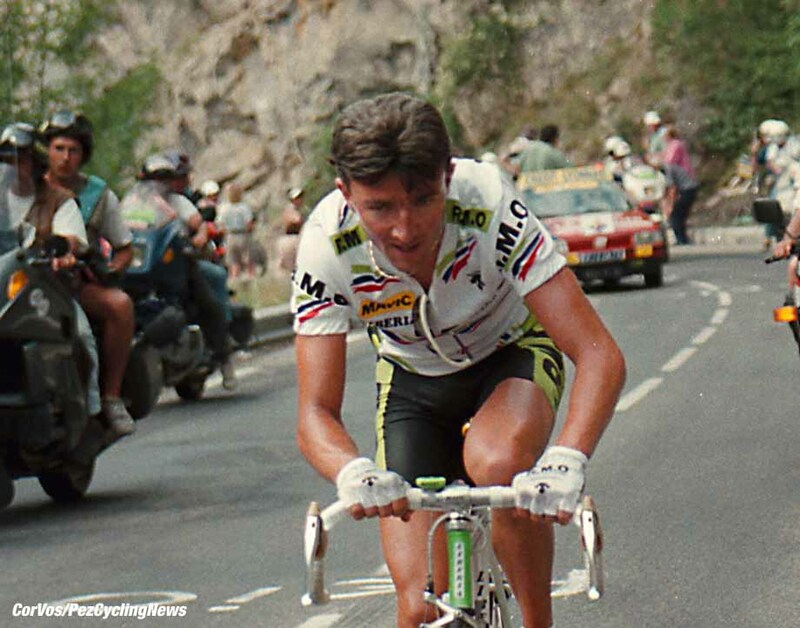 Prior to that, 1991 saw defending King of the Mountains Thierry Claveyrolat win stage 18. His descent into darkness came in September of 1999, a victim of a self-inflicted gunshot wound. It is hopeful that whoever wins stage 20 will restore a sense of dignity to the Joux-Plane, creating a legacy worthy of storytelling and dastardly grade and erase-for those who still dwell - the ugly reminder of 2006 and before. And while the overall classification is well in hand for a third time for Froome, the glory that comes with winning a Tour stage is there for an opportunist who is ready to script his name into history, hopefully for the better.